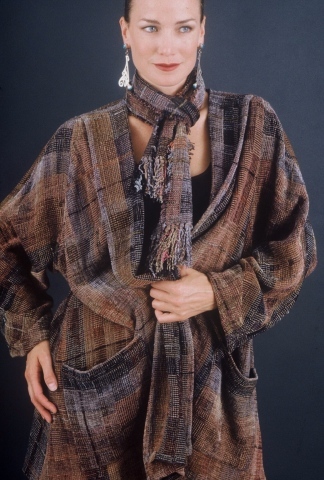 Generous, drapey swing jacket with patch pockets. Available in all blockweave and stripe fabrics. Also available in scaled down, shorter jacket length. Rayon and cotton.